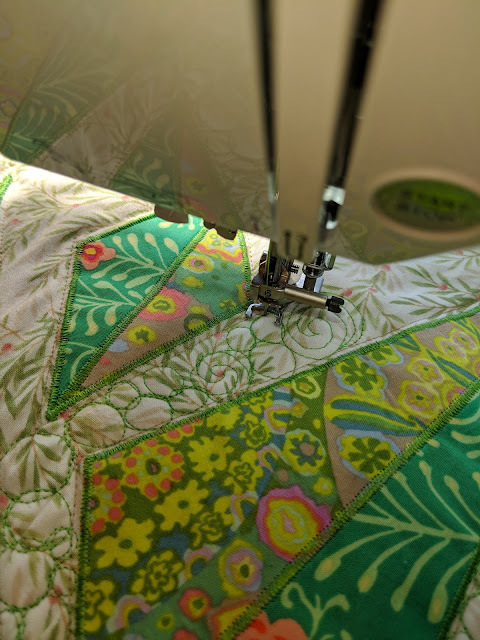 In the middle of all the moving I was able to start doing free motion quilting on my new baby lock Sophie. 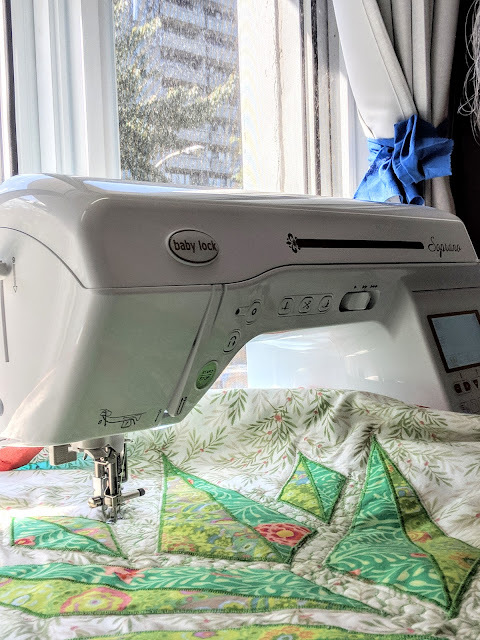 It's funny how we have to go backward every time I start FMQ on a new machine but the lack of tension problems has been a welcomed surprise. 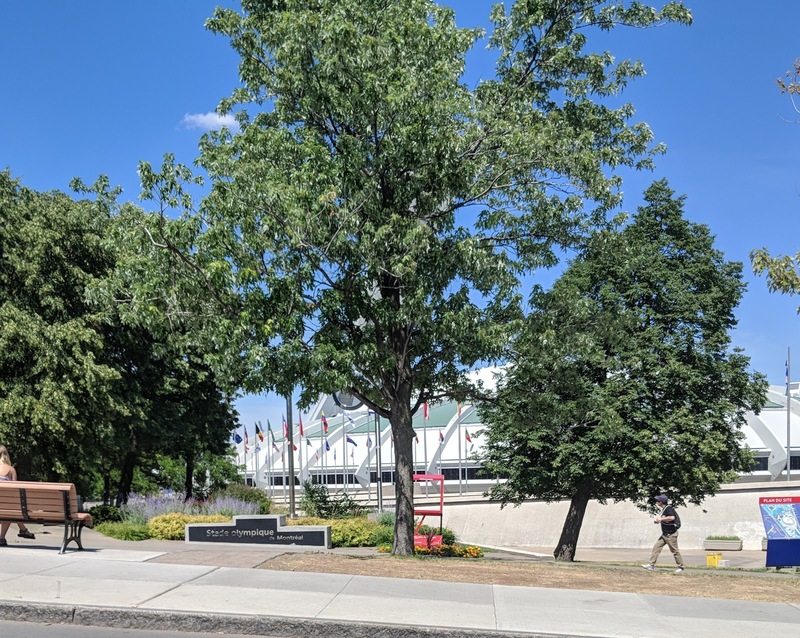 Here is a very bad picture of the Montreal Olympic stadium that is just beside where I work. It is a beautiful place with the botanical gardens, the Insectarium , the Biodome and the Planetarium just beside. It is a great place to go eat lunch and watch tourists :) I will try to get better pictures to show you. In fall and spring, in early morning the stadium look like a big white ghost in the mist. I really have to show you. What is the name of the quilt you are working on? Is it a published design or one of your own creations? Pineapplelicious :) it's always my own creation and I sell patterns. :) so eventually it will be available. 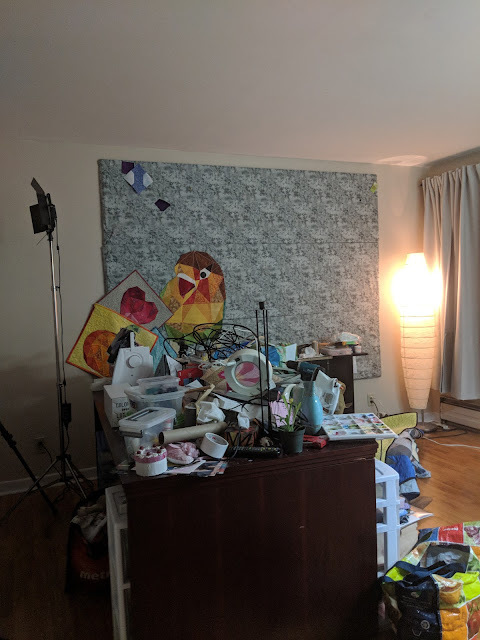 I HATE that reorganizing task. I have had too do it too many times over the years. You always have an interesting project in the works. thank you. yeah I hate it too and it is so hot and muggy in Montreal right now that it make everything a bit harder. Your quilt is so pretty! It's good to hear that you like your Babylock! My LQS just started carrying them along with their Bernina machines. Your's is beautiful! I love to reorganize! Absolutely love it! Sometimes I wish I could be a professional organizer! I love the bright sunshine that comes through your window! Lovely quilt! So glad you love your new machine. It's nice, isn't it, when you can just sit down and quilt without problems! Thanks for linking up to Wednesday Wait Loss. I love that bird quilt on the wall :) Looking forward to see the final set up of your studio! That pineapple quilt is looking "delicious". I love your quilt! 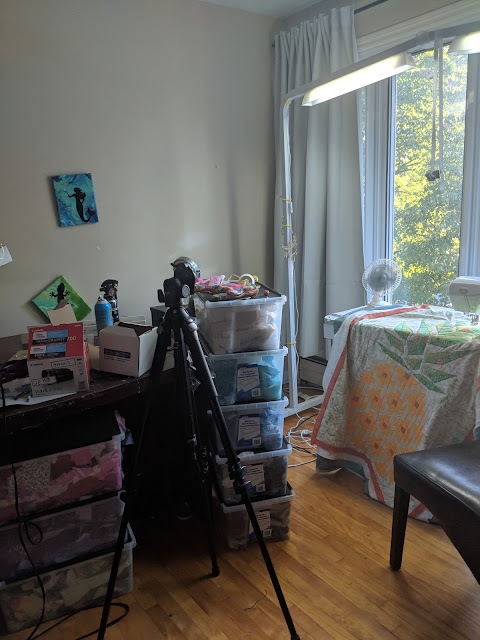 I have to reorganize my sewing space (and also my whole house, ugh) so empathize with you on that task.